Why Cambrian Wood Chipper Hire? Professionals know that quality counts! At Cambrian Wood Chipper Hire we only provide the very best in quality products. 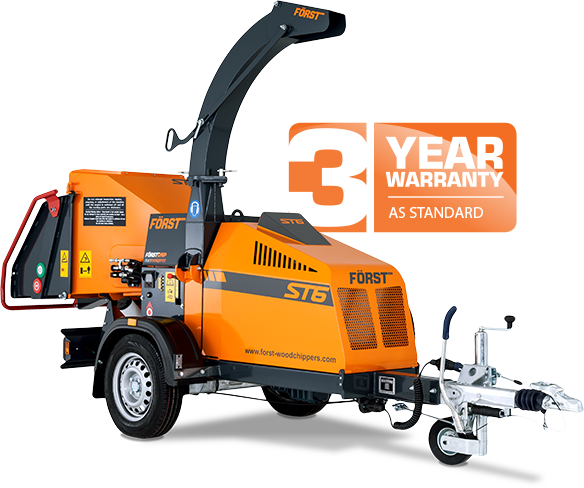 As your local FORST approved dealer, our experts can guide and advise you on the most appropriate wood chipper for your needs. Cambrian Wood Chipper Hire offers an extensive range of wood chippers from industry leading brands including FORST and GreenMech. We pride ourselves on providing the highest quality service. Our highly experienced team are always on hand to answer any questions you may have. GreenMech and FORST wood chippers are some of the most widely used chippers in the United Kingdom. We have a huge wood chipper hire fleet that is comprised of exceptionally well maintained, high quality, low-hours, GreenMech and FORST wood chippers – ensuring you reliability, great performance and a professional image. We aim to be the easiest, most straight forward wood chipper hire company to deal with. So no matter what your wood chipper hire requirements are, Cambrian are here to help. Prices vary according to length of hire & application. For a quick quote call Mike Donnelly on 02920 569 311. Cambrian wood chipper hire and sales are the long term wood chipper hire experts. We hire road tow chippers in 6″ and 8″ sizes. 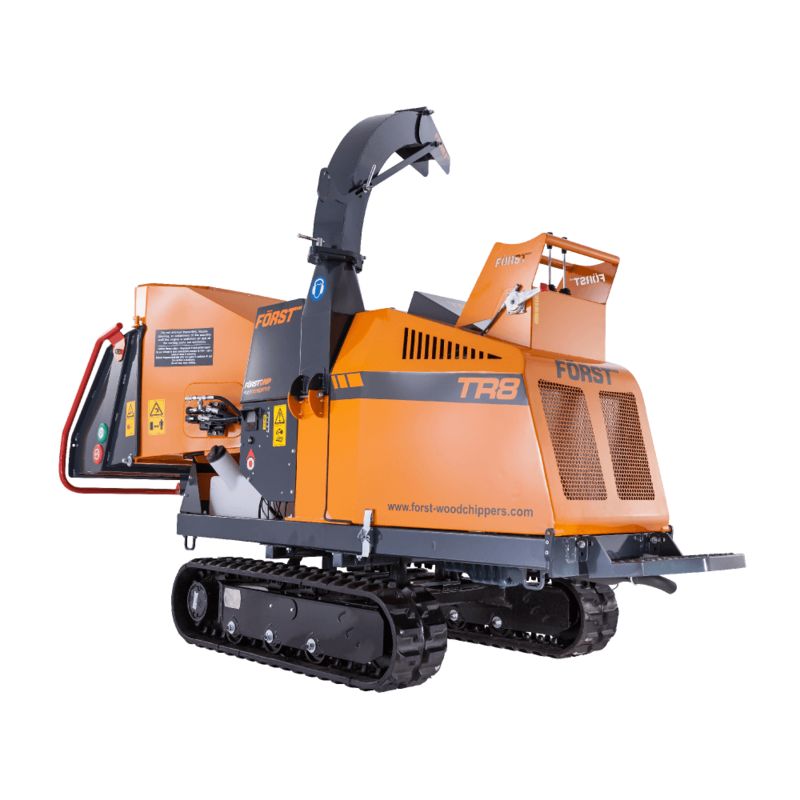 We also offer 6″ and 8″ tracked wood chipper hire. The longer you hire a wood chipper the cheaper it is! Phone Mike Donnelly on 02920 569 311 for our weekly and monthly wood chipper hire rates. Prices vary according to length of wood chipper hire, the type of chipper hired, etc. All prices exclude vat. Delivery, Collection and other charges may apply. Please call for full details. Cambrian wood chipper hire and sales have a large fleet of wood chippers available for short term hire. We have towable wood chippers in 6″ and 8″ sizes and tracked chippers 6″ and 8″ with trailers if required. Our highly competitive wood chipper hire rates vary by machine type and by the length of the hire. We know tree surgeons usually like to get an early start so ask us about collecting your machine the night before. Call Mike Donnelly on 02920 569 311 for a quote. At Cambrian wood chipper hire and sales we specialise in tracked wood chipper hire. All our tracked chippers are fully maintained and have high quality, low wear tracks fitted to minimise the risk of de-tracking. Tracked wood chippers can be delivered and/or collected to your site at any time of the day and trailers can be provided. Call Mike Donnelly today to book your tracked wood chipper hire on 02920 569 311. 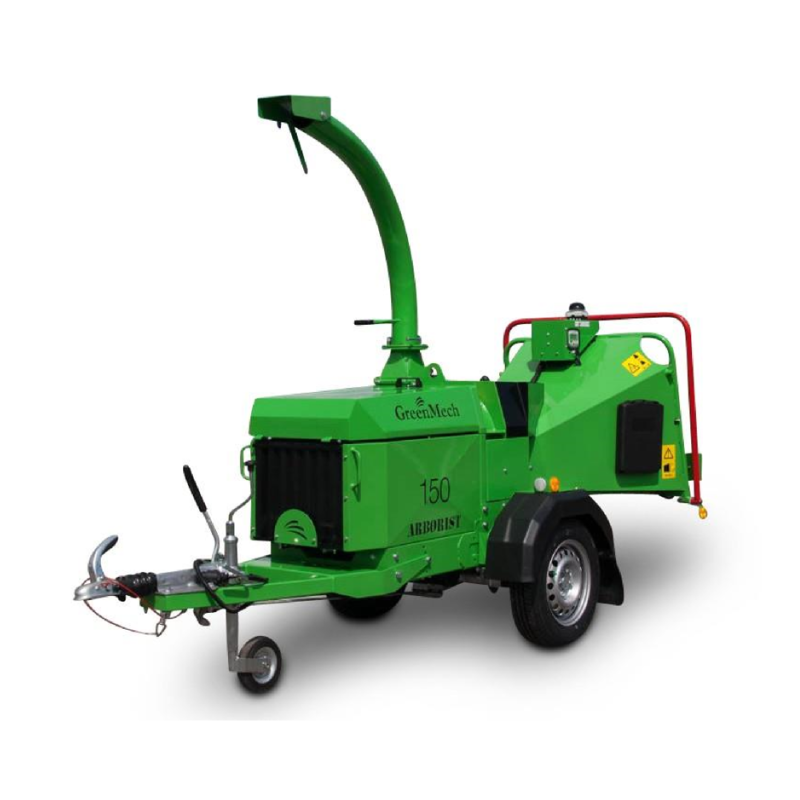 Our towable wood chipper hire machines are the popular ‘all round’ choice. Their versatility means they can be used effectively across a range of applications and conditions, including landscaping, tree surgery and contract work. With a large range of machines with varying HP, there is a wood chipper to suit all requirements. Cambrian wood chipper hire and sales is your number 1 shop for quality wood chippers. We promise to deliver the very best customer service with the highest quality products.